People find this place rather nice! Average score: 5.1 by 1439 random voters. The'Princely Beguinage Ten Wijngaarde', as the beguinage is called in fact, was erected in 1230. The beguins themselves were replaced since long by Benedictines.Sometimes they are to be seen in 15 th century clothings. A museum is situated in the little beguine house near the porche. Therein you can see the way how the Beguines used to live. The entrance gate of the beguinage is dated from 1776.Most of the houses date from the 17th and 18th century. The little Sint-Elisabeth church is partially dated from the 13th century. Its history is quite animated. At the time of the calvinistic government it was degrated to a hayshed. In 1584 it was devastated by fire. After the restauations it became a sober lategothic building. A century later a far more drastic baroc renovation took place : the side aisles were rehaused and the roof became a roofturret. 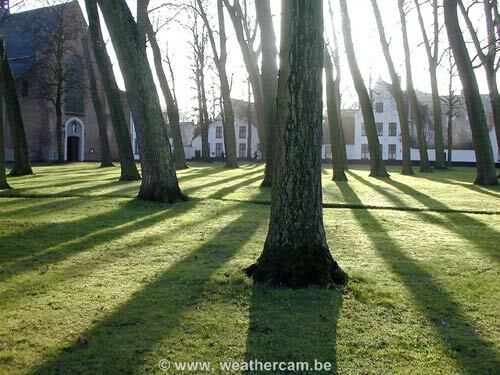 Because of 'lack of beguines' the beguinage has become an abbey around 1930.